SAP Customer Activity Repository (CAR) is a foundation that collects transactional data that was previously spread over multiple independent applications in diverse formats. The repository provides a common foundation and a harmonized multichannel transaction data model for all consuming applications. 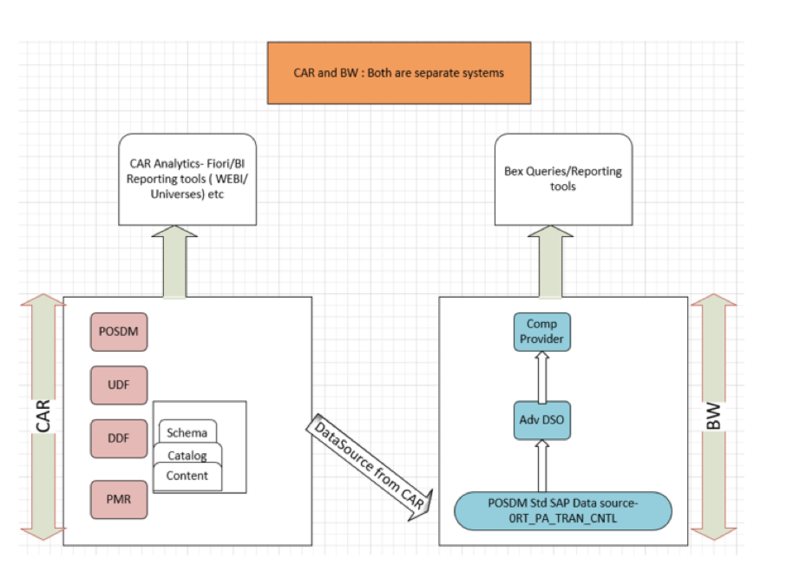 SAP CAR consists of POSDM, Demand Data Foundation, Unified Demand Data, Forecasting, Promotion Management, Loyalty and much more. SAP CAR offers real time insights into Inventory, On-shelf availability, Omnichannel sales across all channels,and the list goes on. SAP CAR and SAP BW Standalone System Architecture. Let’s understand the architecture of CAR and BW when they are 2 separate standalone systems. 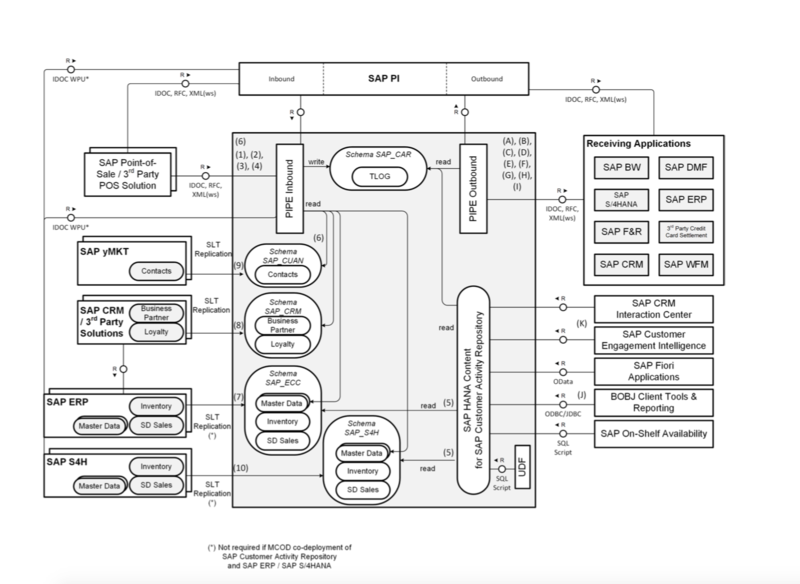 As you see from picture 1.0 SAP CAR and SAP BW are on 2 separate systems. 1. CAR has POSDM/DDF/UDF/Real Time Inventory /PMR/Multi Channel Sales Query and much more. 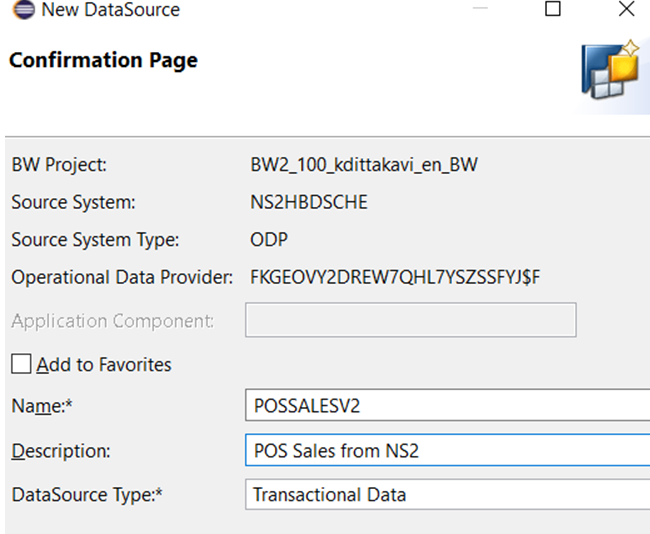 3.BW Uses POS Standard SAP Data source- 0RT_PA_TRAN_CNTL which gets replicated from CAR into BW. 4. BW extracts Inventory/Purchasing/Billing/FI GL and other SA data from ECC using regular standard extractors. Data is duplicated in CAR (from ECC via SLT to CAR). Same data is extracted from ECC into BW using Std extractors. Virtual reporting in BW is possible (accessing CAR Tables/Views), but not recommended for big tables. Doing a join b/w CAR Calculation view and BW ADSO may lead to performance issues if the data set is big. Customers who are not on SAP BW/4HANA can use Retail Content, provided they have a Retail POSDM add on in BW. With this, customers can get Std DSO’s, Cubes, Info objects, Queries etc out of the box. When a customer is on BW/4HANA(assuming CAR and BW are separate systems), there is no Retail specific content available from SAP. a. Transport the Cubes/DSO’s/Transformations from lower BW version to BW/4HANA and migrate them. Note- There’s a risk as not all objects/methods/classes are supported now in BW/4HANA. b. Leverage on SAP CAR’s calculation views which I will discuss in detail below. How to best leverage on CAR Calculation Views as a Data source to BW by using agile development and consume in BW for reporting. 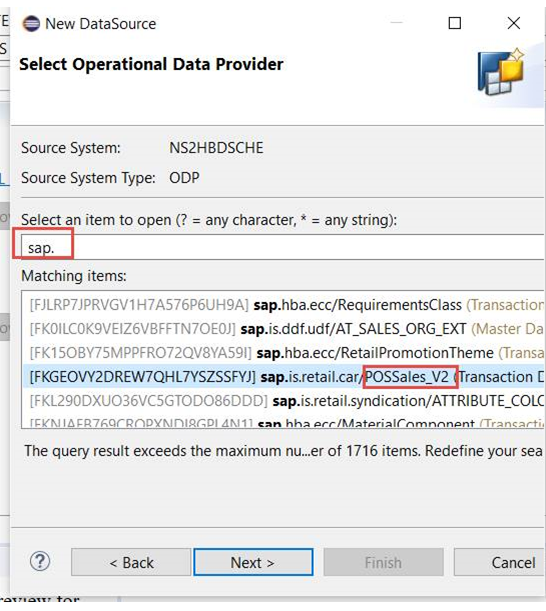 Go to data sources tree and create a new Data source on ODP_HANA Source system. In my case its called NS2HBDSCHE. We can leverage on the CAR calculation views using ODP and persist the data in BW for any agile development/scenarios. Reporting on multiple SA’s is possible. Eg: Pur Reg, PO’s, STO’s, Inventory, Distribution in and out, Material Movements, Store receipts, Store sales, allocations, replenishment and billing. Using ODP, either ECC/CAR tables can be replicated into BW for agile development.